NEX Exchange offers customers better ways to execute trades and manage risk. Its products and services underpin the entire trade lifecycle, pre, during and post execution. Its electronic trading platforms are industry standards. Customers use its lifecycle management and information services to optimize portfolios, control risk and reduce costs, partnering with emerging technology companies to bring greater efficiency. DNR Laboratories created the most complex audio visual system in its history for this client. Despite the tight deadline and major construction delays, Crestron Electronics engineers (the automation and control manufacturer on the project) said they had never seen a system of this proportion pulled off with such smooth execution and easy of use for the end user. 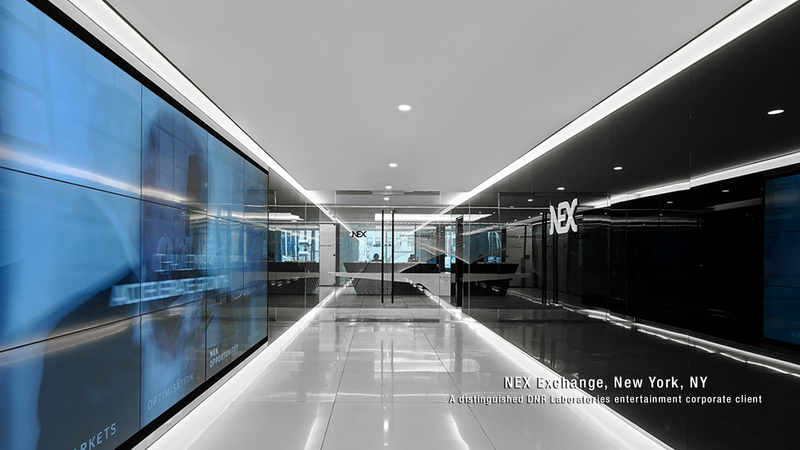 Serving as the centerpiece of the visitors experience to NEX, DNR designed and executed a custom 12-panel 4K high output video wall for the main lobby that displays high resolution marketing content. The media wall is comprised of 12 seamless LED displays seamed together electronically to form one large scale 4K life size image. Alternatively, with easy management by marketing department personnel, the wall can display single-content or matrix/tiled video. 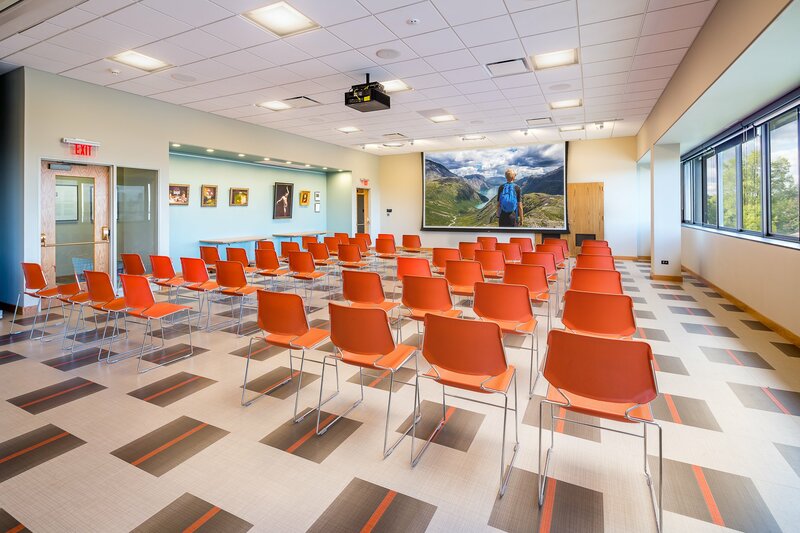 This client required a large scale, centralized AV solution for 25 full video conferencing rooms, as well as basic presentation video systems in compact huddle rooms, with easy of use, high quality voice calling, and user friendly HDMI/VGA connections to monitors. Eight premium client suites, the most complex AV solution in the history of DNR and Crestron Electronics, serve five different business units within NEX. 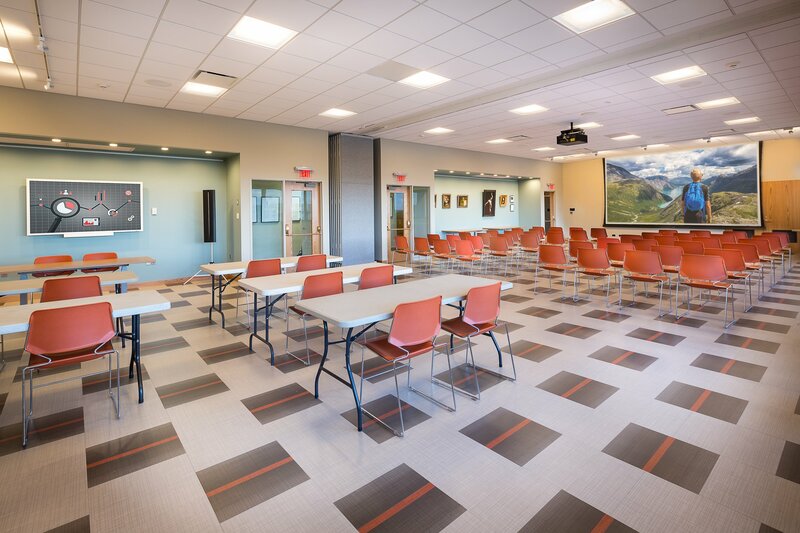 These client suites presented DNR with very technical challenges because all eight rooms needed to be able to transform and change between business units on the fly. 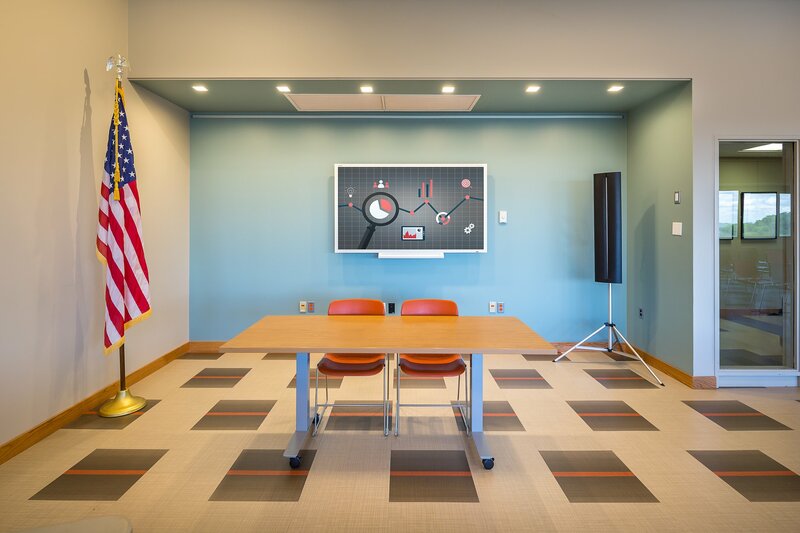 DNR engineered a custom control and work flow procedure that allowed different users to easily re-configure the room from a portable 10” touch screen within minutes before a meeting. The B team installed over 100 displays on the trading floors for public digital signage and live TV, designed a cost effective yet very powerful QUAM Video distribution system to provide fully matrix video to all 100 displays, and designed a control system that allows the receptionist to easily control single, group, or all 100 displays for channel, volume and power. Not every library is quiet. 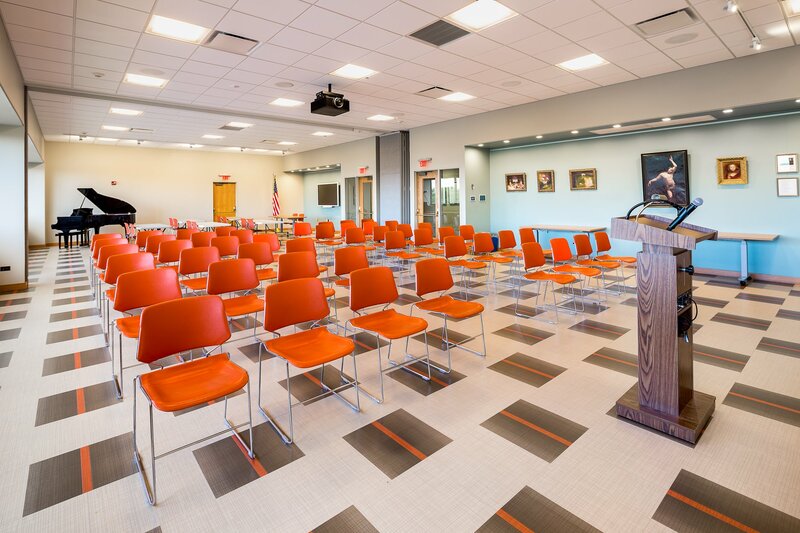 The Warner Library, Tarrytown, NY, recently completed a large scale renovation and upgrade to their public spaces which featured an extensive Audio Visual installation. 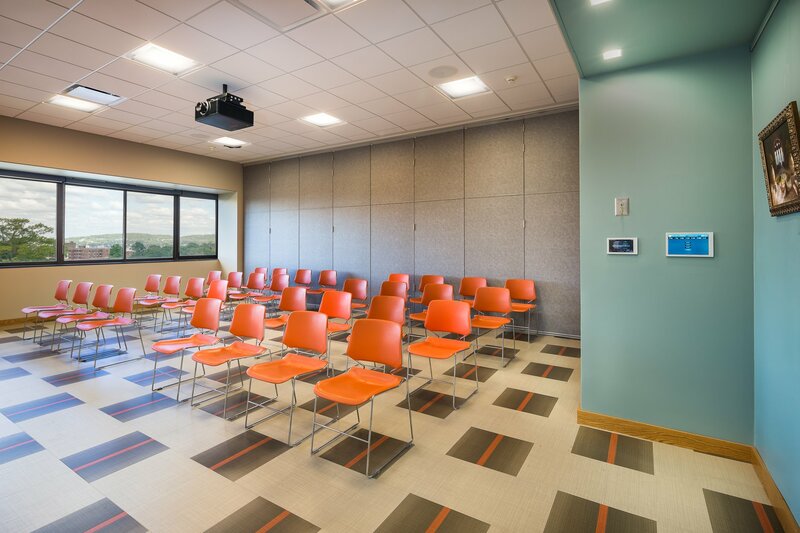 DNR labs was contracted to install a powerful yet simple to use AV system for the Library Community Room and smaller training room. DNR provided a top to bottom solution – one simple wall mounted touch screen – that fully controls window shades, lighting, audio and video. The system features state of the art laser based video projectors for unbelievable image and brightness in a large, well lit room. The Warner Library staff can rely on DNR’s “continuity of services” for on-going support after the installation.